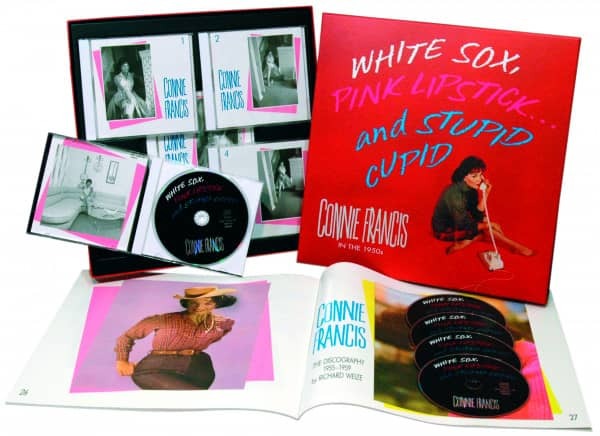 5-CD boxed set (LP-size) with 40-page book, 134 tracks. Playing time approx. 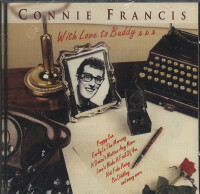 375 mns. 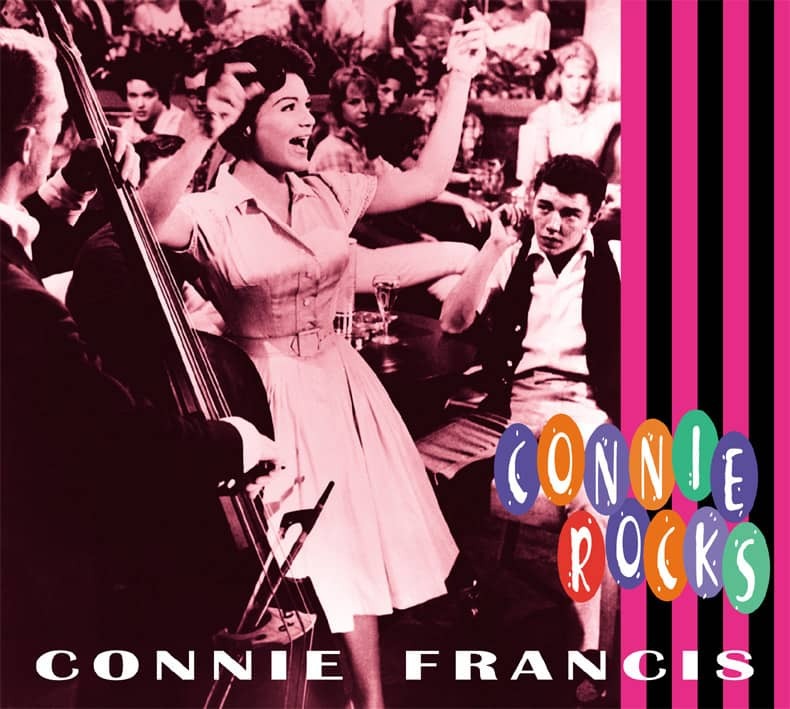 Connie Francis was - without a doubt - the best-selling female vocalist of the rock 'n' roll era. 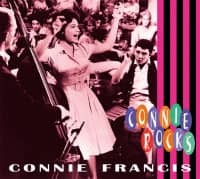 She set the pace, and was untoppable and unstoppable well into the '60s Here we bring together all of her 1950s recordings with hits like Who's Sorry Now, Stupid Cupid, My Happiness and Among My Souvenirs. 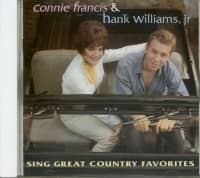 There are many unissued recordings, the duets with Marvin Rainwater, and all those ultra-rare early LPs. 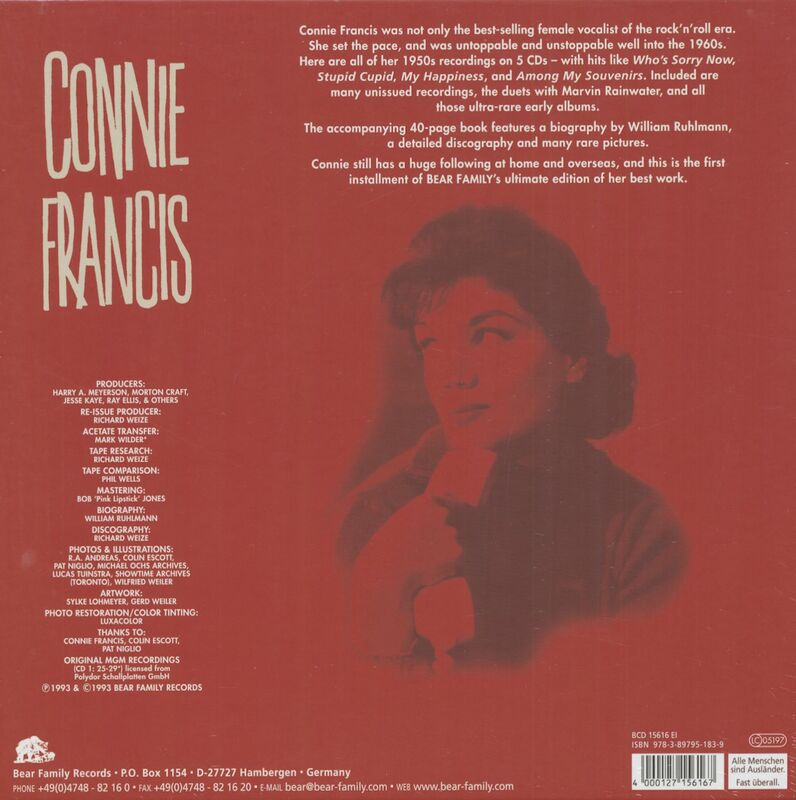 Connie Francis still has a huge following at home and overseas, and this is the first installment of the ultimate edition of her best work. 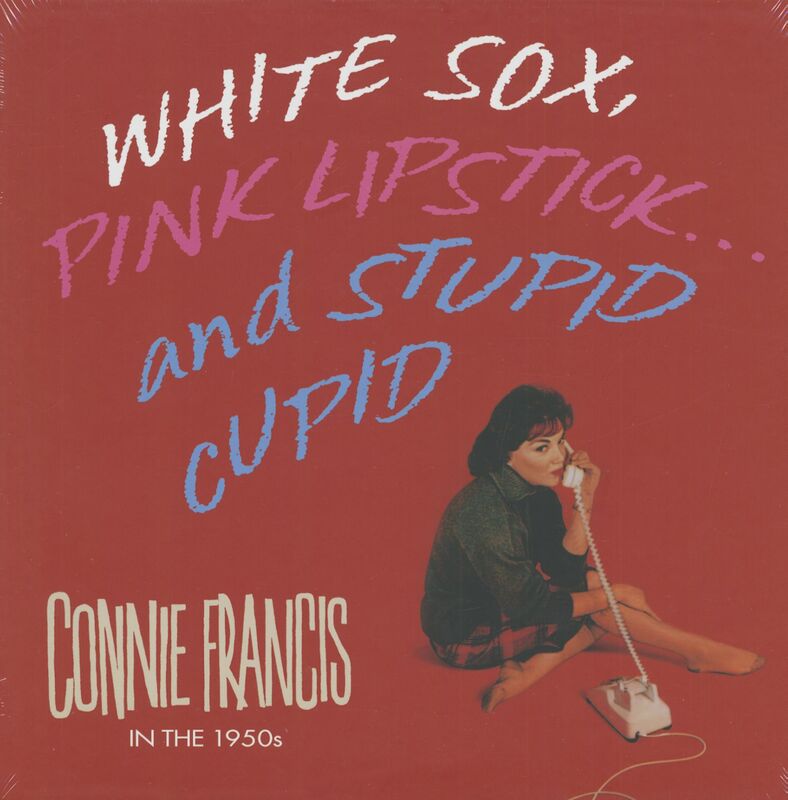 Customer evaluation for "White Sox, Pink Lipstick...And Stupid Cupid (5-CD)"
Eine liebevolle Zusammenstellung, edel aufgemacht und mit ausführlicheer Discographie versehen. Klasse!